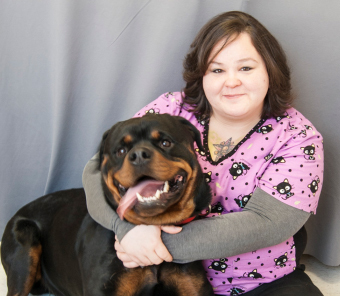 Danielle has been in the veterinary field since 2003 and is originally from the Hampton roads area. She likes spending her free time playing co-ed roller derby, traveling, and going to the beach. She also has an awesome Rottweiler named Dexter and two Chinese Cresteds: Booboo, and Sprinkles.